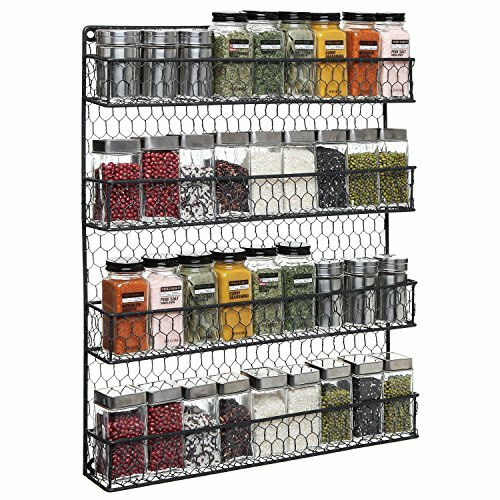 Today’s market offers many different spice rack designs for storing all the different types of spices you should have on hand. Choosing the right one can add to or detract from the flow of your kitchen. 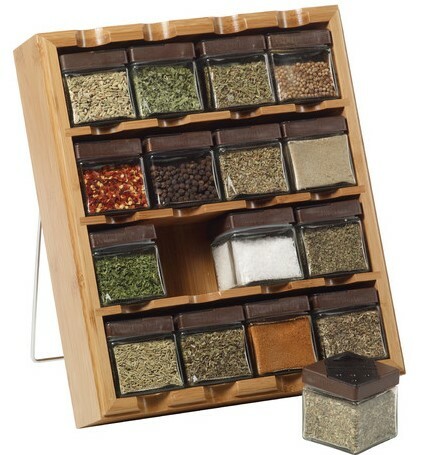 When shopping for a spice rack, you will need to consider aspects like design, size, cost and location. To help you find your perfect spice companion, here are a few key components to keep in mind. Choose a rack type based on how often you will be using your spices, how many you like to keep on hand and where you will be storing them. Do you want them on display for all to see? Do you want them out of sight when you’re not cooking? You’ll need to consider all of these variables when deciding on a particular design. Where should you store spices? For spices to retain their flavor and freshness, they need to be stored in the right environment. For the best results, they should be stored in a cool, dark, moisture-free area. 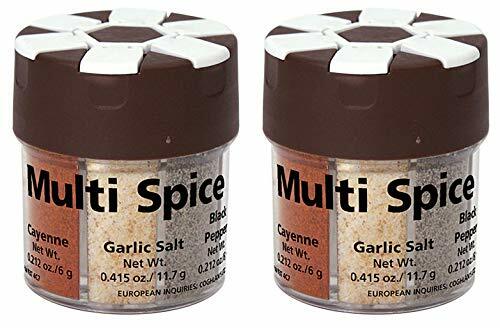 Nobody wants clumpy garlic powder or wilted oregano leaves in the spaghetti, so choose your location wisely, and select the best spice rack for that location. For instance, if a cabinet is the only place in your kitchen that is cool and shaded, then you may want to stick with a cabinet rack. Likewise, if you have a free counter that is far from the oven and away from direct sunlight, a countertop style may be your best option. How much does a spice rack cost? 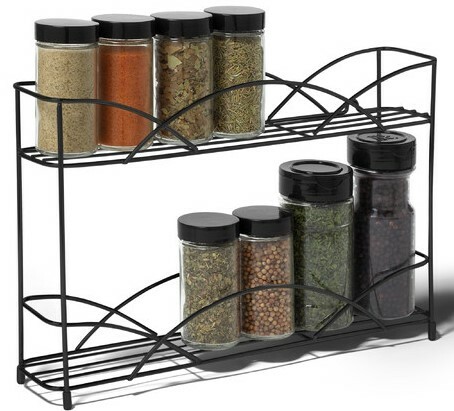 If budget is your primary concern, many plastic spice racks are available for under $20. 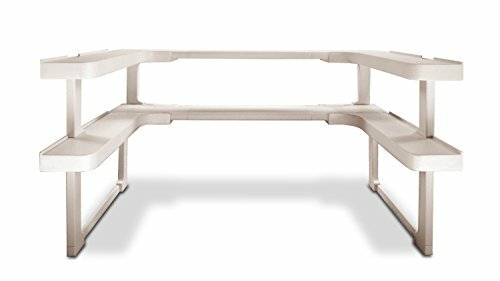 However, those constructed of solid wood, stainless steel and other durable materials are commonly priced in the $30 to $75 range. How many spices should you have on hand? The number of spices you have on hand in your kitchen will in-part dictate the spice rack you get. 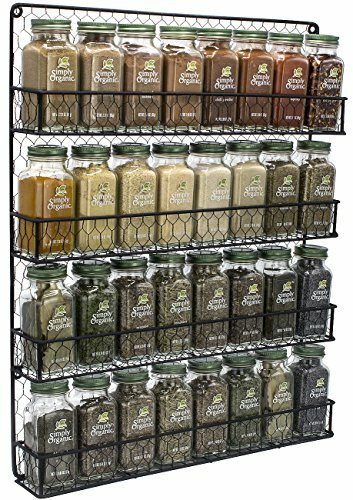 If you’re an avid cook with 30 spices, you need a sizable spice rack. If, on the other hand, you have 6 spices, you can get away with a much smaller rack. If you’re looking for a magic number, it doesn’t exist. 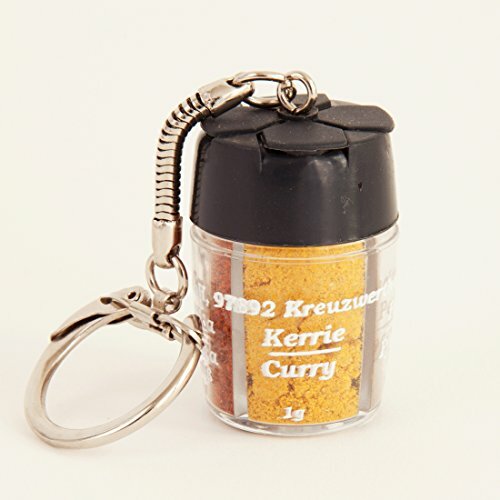 However, 20 to 25 different spices is a fairly large selection that will serve you well. Now, let’s move on to spice storage options. If space is your primary concern, a wall-mounted variety is a great option. It frees up valuable counter space, keeps your spices easily accessible and generally enhances the look of your kitchen. 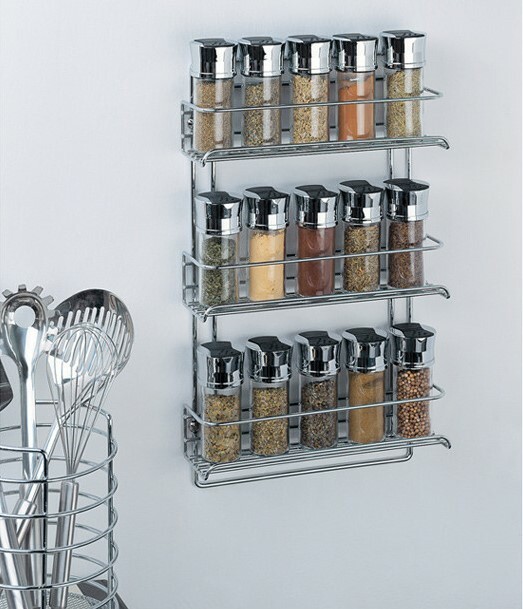 Keep your cabinets clear of clutter for years to come with a stainless steel wall-mounted spice rack. 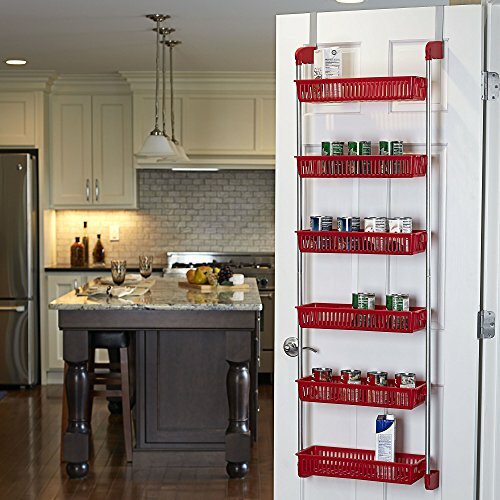 With three spacious shelves, it can accommodate a variety of bottle sizes, so you can store all of your spices in one convenient place. The wire-mounted design is very common. You can find all sizes. It’s easy to hang or mount as well. All you need is some bare kitchen wall space. Featuring a sturdy construction of solid pine, this Wall Mounted Spice Rack can be set into your kitchen wall for a seamless, built-in look. Each shelf features wooden dowels to contain your spices, and it includes a birch back panel to finish off its natural look. Like the wire wall-mounted racks, the floating wood racks are simple and do the job. You can get plenty of shelving space or just a little – whatever your needs. Again, you just need some bare kitchen wall space. Our first spice rack is for small spaces because it’s an adjustable rack that will help any small or large kitchen because it gets all your spices nicely organized inside a cupboard or cabinet. 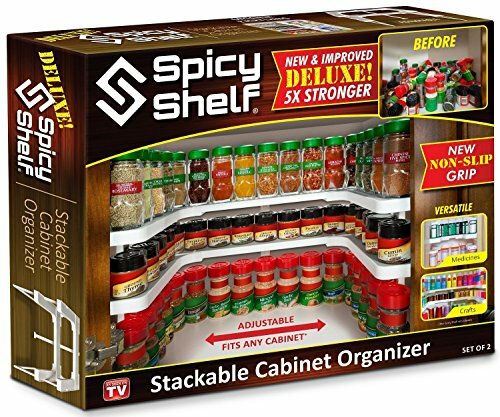 Our first cabinet spice organizer is a simple shelf system you can buy that you insert into cabinet spaces. 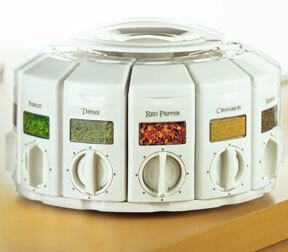 It creates multiple levels around the perimeter of the interior on which you can line up all your spice bottles. It’s a fantastic way to organize and declutter your kitchen. Check it out. Here’s the box that it comes in. As you can see, the shelf unit is adjustable so it fits different width cabinets and cupboards. Click image for pricing and to learn more. Here’s what it looks like without anything on it. Super simple, but very, very effective. This solution is also good for small spaces or small kitchens. Most cabinet door interiors is wasted space. This enables you to make use of that surface area – and as we all know, surface area of any type is super valuable in a kitchen. 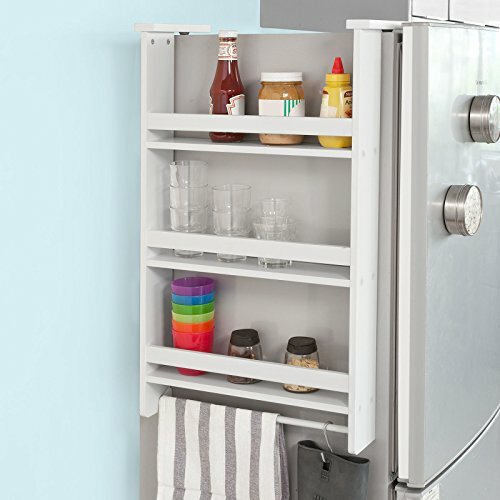 The side-of-the-fridge design only works if your have an exposed fridge. Most are built-into a cabinet system but not all. If not, this is a solid option. Attaching to the inside of a cabinet door, this rack is another great space saver. It may not be the most glamorous style, but it is out of sight, and it does the job right. Depending on the exact model, it may attach via screws or heavy-duty tape, and it may be constructed from plastic or stainless steel. 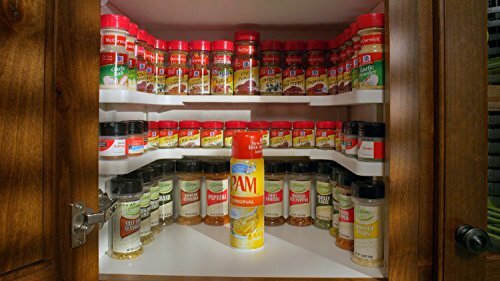 Crafted of high-quality materials, a cabinet-door spice organizer includes 20 sturdy clips that attach to your cabinet door. For added versatility, they can be used with different-sized containers, and the strip of clips can be broken into segments to fit any door. 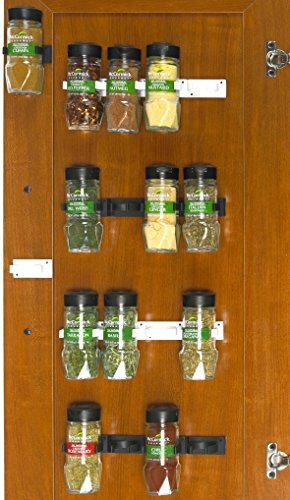 Mounted inside of a cabinet, a pull-down spice rack arranges spices efficiently, providing quick and easy access whenever you need it. 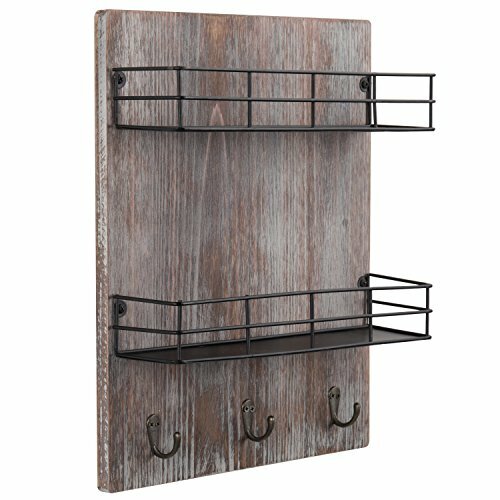 This style sits inside of a drawer and is great if you do not want to add anything else to your walls or counters. Many designs feature tiered layers and are expandable to fit any-sized drawer. 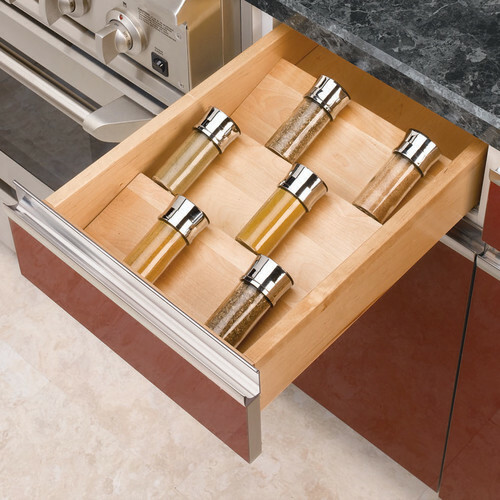 Make efficient use of your drawer space with this wooden spice-drawer insert that features a tiered construction for easy access. Crafted of maple hardwood, it features a natural finish to complement any drawer style. Sitting on your counter, this type of rack is always visible, so most varieties feature sleek designs for visual appeal. They may be made of any material such as wood or stainless steel, and they are available in a range of sizes. 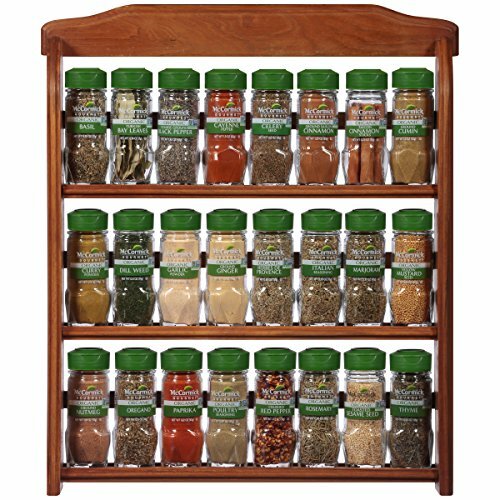 The above is an attractive 3-tier spice shelf for the countertop that stores up to 18 different spice jars. You can learn more here. 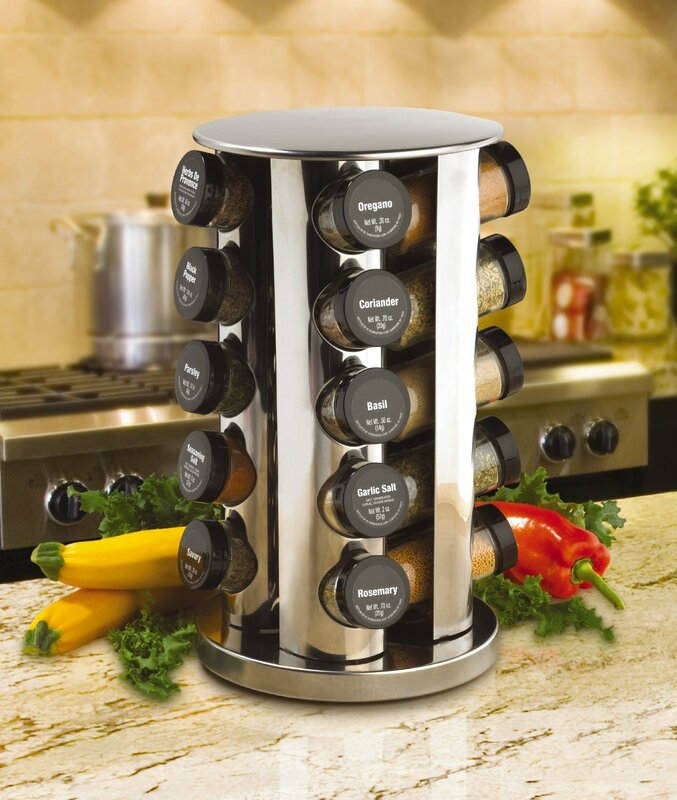 Crafted of stainless steel, the countertop spice rack features an elegant, tiered design that adds to your existing kitchen decor. 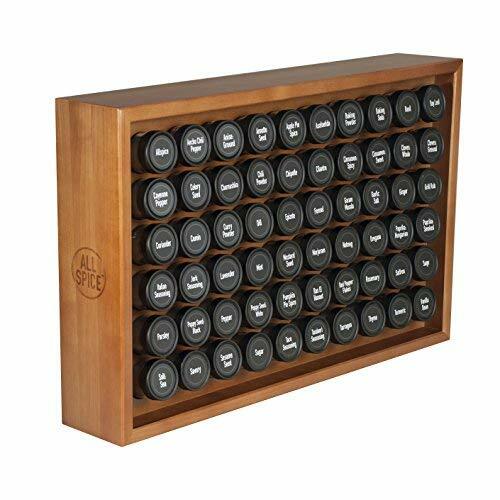 Making efficient use of your vertical space, it can hold numerous spice bottles in various sizes. 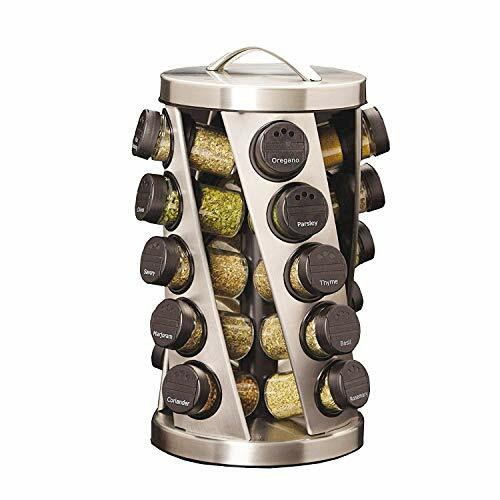 A Revolving Spice Rack features a stainless steel construction with secure, slide-in slots. 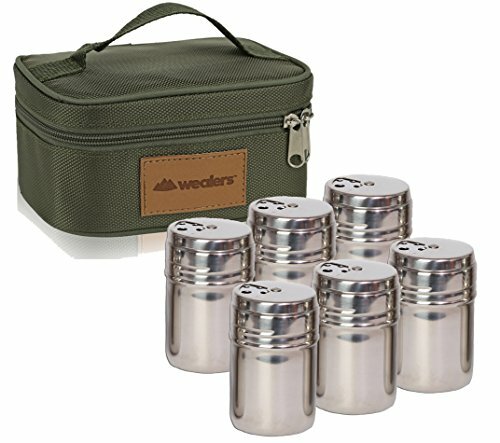 Conveniently designed, it includes 20 glass bottles that are fitted with no-waste sifter caps and labeled for easy identification. 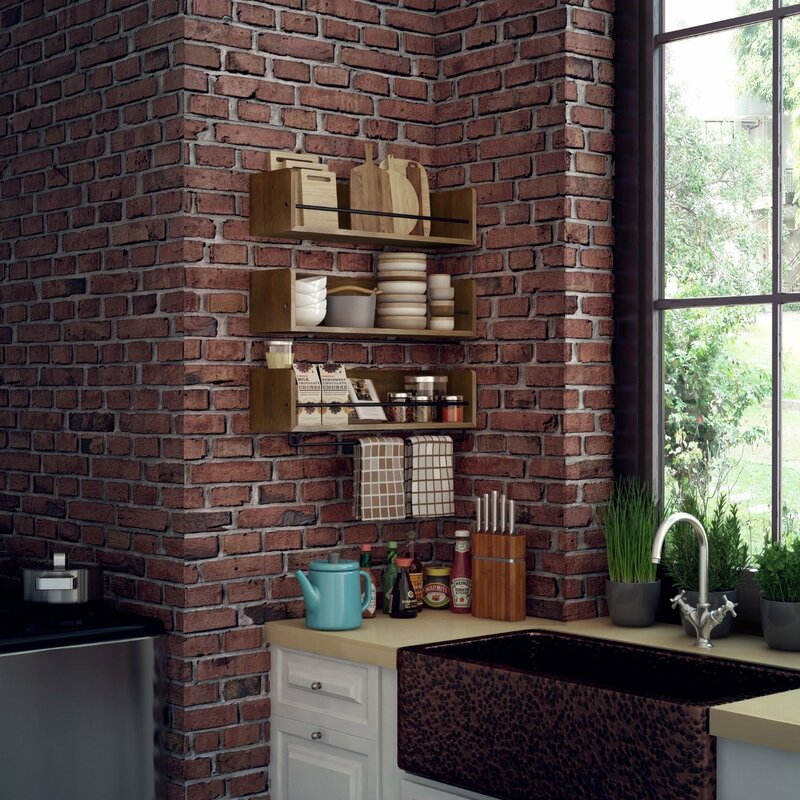 A 16 Cube Bamboo Rack features a beautiful bamboo finish to match a variety of kitchen decors. Including 16 premium spices in elegant glass jars, it comes with a complimentary refill program. The auto-measure carousel features 12 canisters on a convenient rotating base that can be placed on a counter or mounted under a cabinet. Generously sized, each container holds 4.5 ounces and automatically dispenses its contents in 1/4-teaspoon increments for precise measuring. 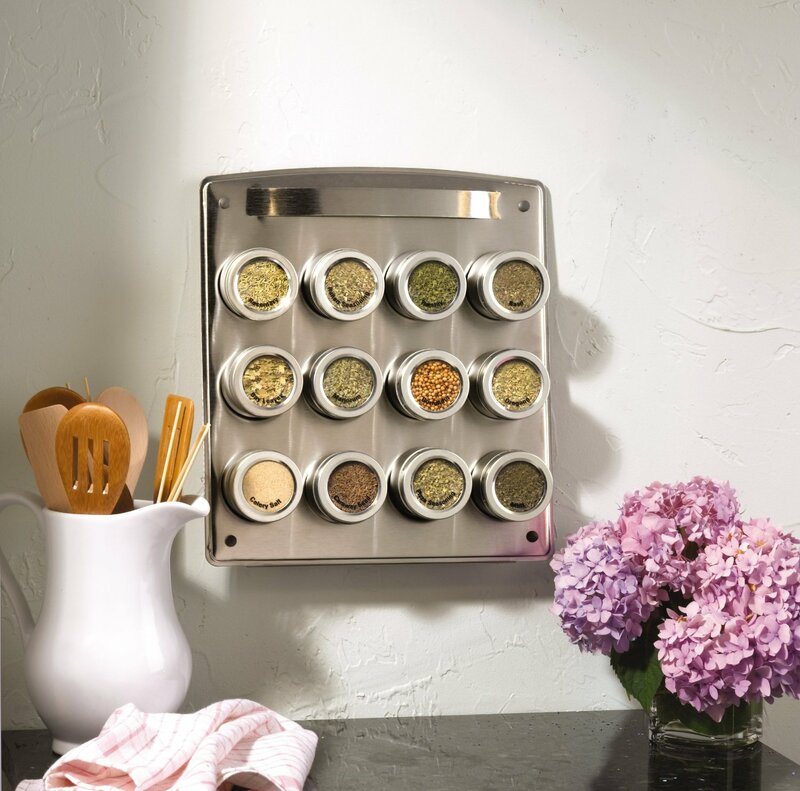 Made of stainless steel, a 12-tin magnetic spice rack is a sleek, innovative way to store your spices. It features an easel-back design that can sit on a counter or mount on a wall. 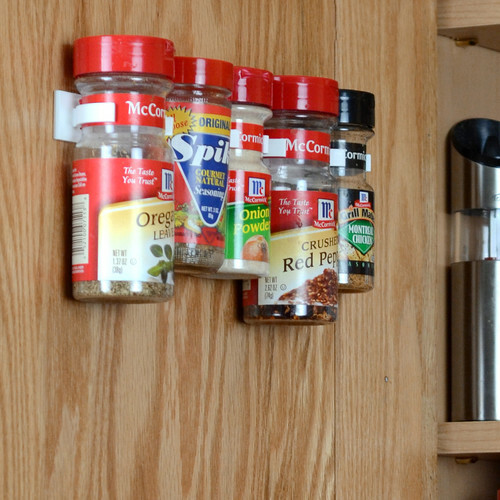 By “hanging” some people are referring to a wall-mounted spice rack. If so, see our wall-mounted section above. 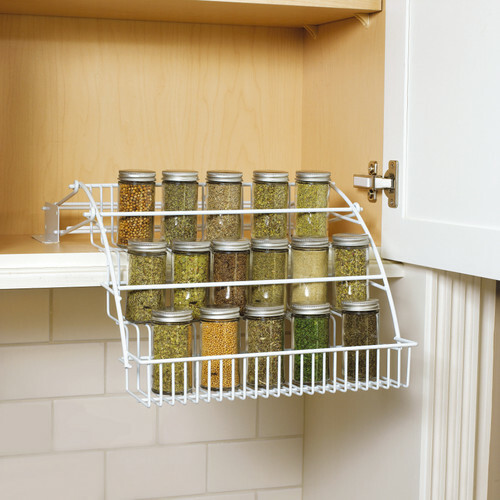 In our hanging section, we feature spice racks that actually hang in some fashion. Here are a few ideas. I love this 12 hook-style spice rack for under upper cabinets. You can order this at Etsy here. This cool DIY spice rack was designed and built by Noahw. I think it’s clever by using test tubes, although you probably have to refill them more often than larger spice containers or jars. The above is by Edsobo. 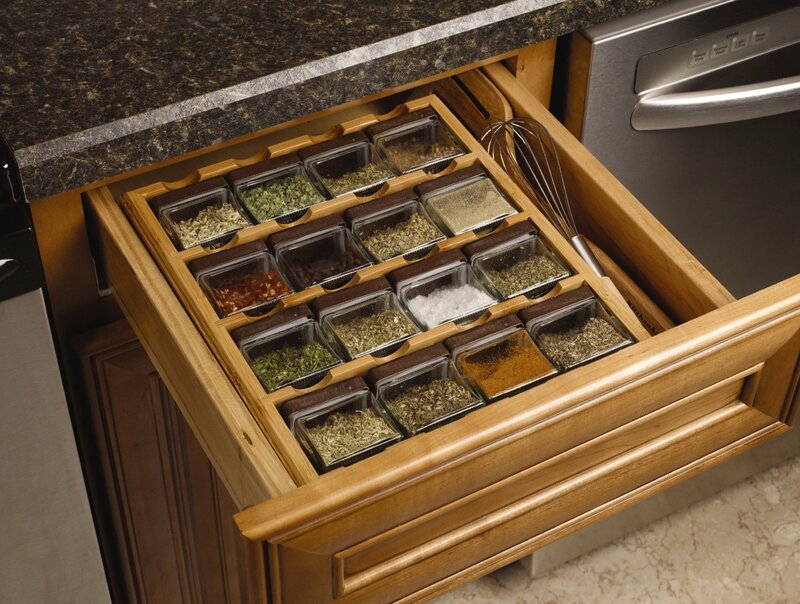 It’s a great “out-of-the-way” spice rack design where spice container lids magnetically attach to the underside of upper cabinets. Here’s an example of what you can do with pallets – it’s spice rack built with old pallet wood by jlink3.